Why hello there, lovely readers! Last weekend was my eighteenth birthday, and boy did I receive some fantastic gifts! I thought I would share them with you since I think you guys might like them. 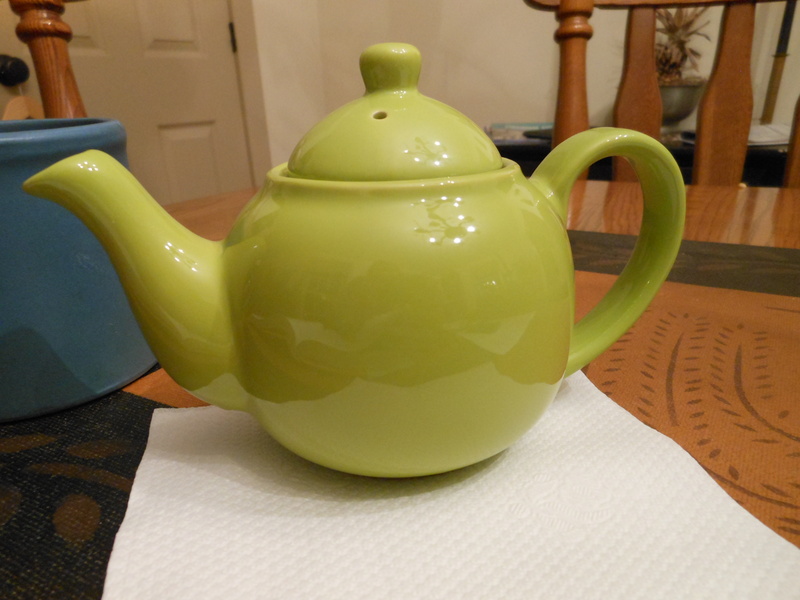 The first is this adorable green teapot. Isn’t the color fabulous? It has a little strainer thing in it for loose tea, and it’s microwavable! It’s the perfect size for heating up just the right amount of tea. The next one is a gift from my brother, and I have to say that he did a brilliant job of picking it out. 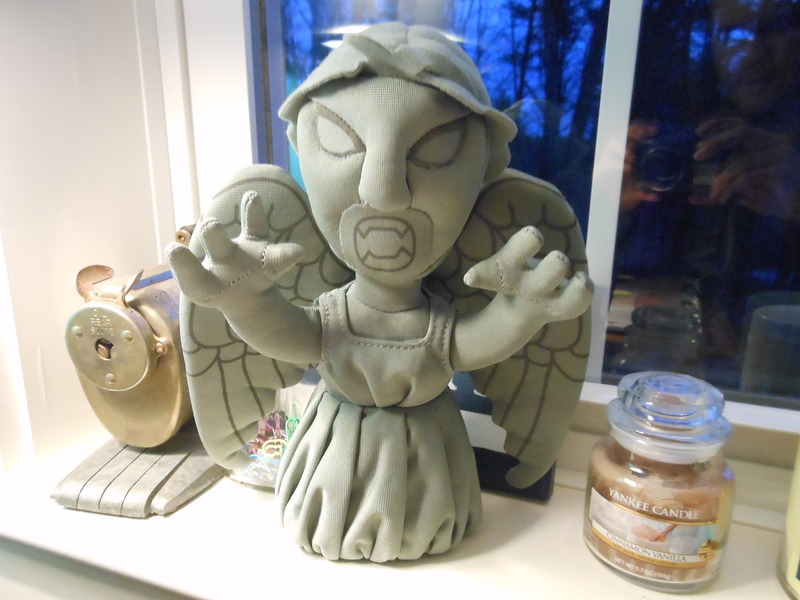 It’s a stuffed animal Weeping Angel from Doctor Who! It’s so cute and creepy at the same time! It even makes screeching noises when you press a button in its belly. This last gift might very well be the best of them all: BOOK SCENTED SOY CANDLES.That’s right, people. 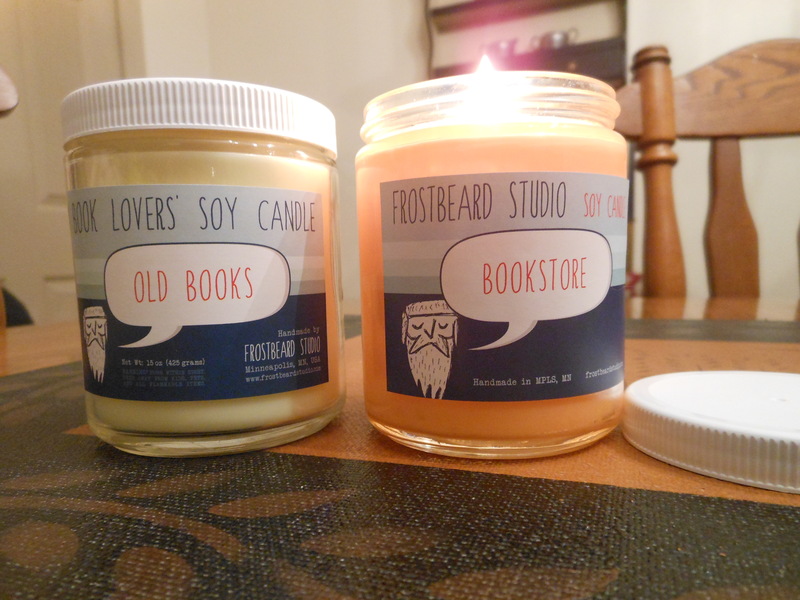 These amazing candles smell like Bookstore and Old Books, and they’re AMAZING. They’re made by Frostbeard Studio, and they have a bunch of awesome nerdy candles available for sale on their Etsy page. I highly recommend them! Next > bucket list tag.